Home DCE Technology Davao Cyber Expo 2011- Let’s join,win, and have fun! 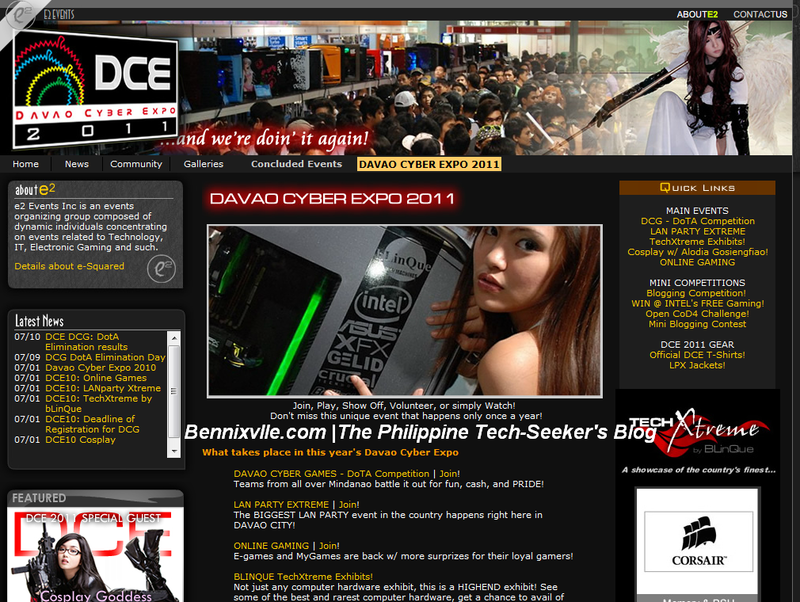 Davao Cyber Expo 2011- Let’s join,win, and have fun! Hello Techies,Bloggers,PC Gamers and Friends we are are going to witness again this year, the awesome Davao Cyber Expo 2011 which started almost four years ago and continue to bring more exciting tech updates that you must checked out. The Davao Cyber Expo 2011 event will be on July 29 to 31 at the cool place of SM City- Davao where it was held several times. There will be a lot of exciting events and fun which you must join with your friends and get tons of great prizes. Intel- The most popular, successful and called “the leader” in IT industry for more than 4 decades will bring more amazing technologies and as a part of giving back to it' fans, consumers and followers, Intel will be there at DCE 2011 to extend warmth supports and cooperation.Great Intel! Blinque Tech - A great player in the tech industry through out the Philippines.They have their computer store here in Davao and General Santos City.Will bring you their latest and high-end computing tools to the max in DCE 2011.Check out their Edges! e2 Events- The cool event organizer of DCE 2011.An events organizing group composed of dynamic individuals concentrating on events related to Technology, IT, Electronic Gaming and such. Cosplay- No doubt here in the Philippines we have the best artist in the name of cosplay. One of them is Ms. Alodia Gosienfiao, being dubbed as the "Cosplay Goddess" in Asia. It's good to know that DCE will open a cosplay competition to encourage others to show off their best intricate costume and talent in Cosplaying.